…and still charged them the $5,000 premium price for it. The saga of the Tesla Model 3 is one mired in mixed emotions. Those rooting for Tesla see the baby automaker as the archetypal American underdog story with an inevitable happy ending on the horizon if it can just endure this period of On the other hand, the fact Tesla is trying to pull off a ludicrous production ramp-up with near impossible time constraints means that quality is going to be in the spotlight and a subject of constant critique, even by its most fierce supporters. We’ve already seen a Model 3 on a long-term road trip on both the hardware and software end of things, but a new crop of posts that have popped up on the , Reddit, and seem to find issue with the interior. The reason for the commotion is that some Model 3 recipients who opted for the Premium Upgrade Package are finding that their EVs have been fitted with subpar cloth materials rather than the Alcantara they were expecting. 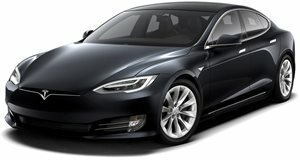 What's more is that Tesla hasn't provided an explanation for the missing upgrade materials. Press images of the Model 3’s interior as well as early YouTube reviews seem to show attractive interiors covered in the upscale material, which partially justifies these owners’ gripes when considering that their car interiors look nothing like the product pictures they had been shown. Tesla and Elon Musk have yet to comment on the matter, but it already looks like Tesla owes some owners an apology and a $5,000 refund for pulling possible bait and switch tactics.